We’re sorry, this program has ended. 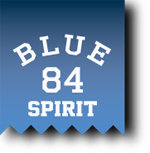 To inquire about this program or future programs, please contact Blue 84 Spirit at 800-328-6681 or spiritinfo@blue84.com. © 2012 Lakeshirts, Inc. ALL RIGHTS RESERVED.